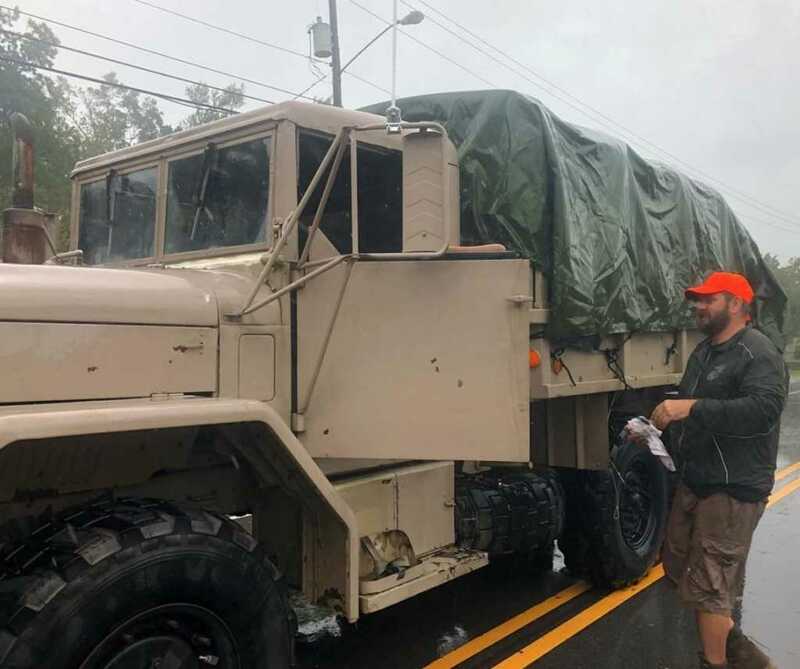 A former U.S. Marine is using his own military vehicle to save people surrounded by floodwaters from of Hurricane Florence. On Friday, 47-year-old Jason Wienmann was in New Bern, North Carolina, driving through flooded neighborhoods to rescue stranded residents, CNN reported. Weinmann bought the vehicle at a government auction 10 years ago. He told the network that he had harrowing incidents like the storm in mind. “That’s why I got this thing, to use in times like this,” he said. "We're underneath the tarp in the back of a military style high-water vehicle that's being driven by a retired Marine who's jumped into action here in New Bern," reports @edlavaCNN from North Carolina. Florence, a once Category 4 storm, began bringing hurricane-force winds and rains to the Carolina coasts Thursday night. The slow-moving storm hovered over the same area for multiple days, causing record-breaking flooding and storm surge. Hundreds of people in New Bern had to be rescued, North Carolina Gov. Roy Cooper said. At least 17 have died as a result of the storm.